Here are a couple more of the cards I made this year. The first one has glittery paper for the snowdrifts and then I cut doubles of all of the dies so I could put a dark shadow behind them. The second card is a shaker card that I made for a friend. Just something fun to do! 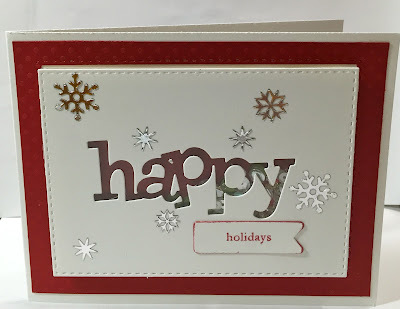 I love the glittery paper for the snow.. and wow! What a brilliant idea to double cut the deer and have shadows cast. Boy do you open my eyes! 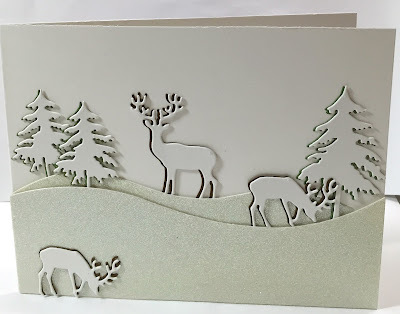 I love how you doubled the die cuts to create shadows - just so lovely! Great shaker card too! These are both such fun cards, Sheri! Your shaker cards are always so much fun! And the one with the deer is just lovely! beautiful...love how you did the card with the deer...well done.